Q – Can the telephones in the Detective Trailer be purchased? Will a telephone be in a update also. A – The phone you saw in the Detective trailer is a special object linked to the Front Desk in the Police Station, with specific functionality. No other plans around phones at this time. Q – One thing I am curious about is the house calls. Would this be some kind of “3rd dimension” sim house that they go to? Or will the attend various sim houses in the community? I ask because I don’t have any NPC sims living in houses in my main game. A – You get house calls on higher level doctor career. The house and household are generated by the game. It could be a mixture of existing house and households. Q – Will anything be done about the lack of story progression in this game? A – Hey Selena, we are looking at story progression and how we can improve the experience. There are a lot of tuning tweaks and added functionality that is involved. While we can’t announce anything yet, we are looking at it. Q – Could you please tell us more about the photography skill? Will pictures be able to be hung on walls? Can you paint portraits now by using the camera feature? Will the “Take Picture Together” interaction now have an actual picture taken and placed in inventory? A – Hi KitOnlyHuman, I can speak to your photgraphy questions! Yes, you can hang your photos on the walls and use the camera for assisting with portraits. Also yes, the “Take Picture Together” interaction will put a photo in your inventory when it’s user-directed. Q – Why was the decision made to not include home businesses (businesses run from the home lot) in GTW? In a recent interview it was stated that GTW will add a new neighbourhood and new environments to the existing neighbourhoods. Can I ask what exactly ‘new environments’ means? I’m slightly confused. A – While you can’t run a business from your home lot, you are able to fulfill most of your needs on business lots. There are some things you’ll need to return to your “home” to do, but you can sleep, eat, and do most other things in a room above your retail business if you want. The new environments mentioned were specific to the new active careers: the Science Lab, Hospital, and Police Station. They’re in existing neighborhoods, integrated into the world. Q – Will there be a trailer about Aliens or will aliens be added to base game? Can doctors have ‘at home’ practices or small clinics? Will they be able to treat sick sims out of the hospital? Could you please tell us more about the photography skill? Will pictures be able to be hung on walls? Can you paint portraits now by using the camera feature? Will the “Take Picture Together” interaction now have an actual picture taken and placed in inventory? A – Yes, we will have an out of this world trailer for Aliens (see what I did there?). Doctors can’t have “at home” practices but they will be able to make house calls. Photography skill is really cool. Yes, you will be able to hang the pictures on walls. Yes, there is a way to paint portraits using the camera. I’m checking into the last part of this as I think the answer to selfies is no but I’m not sure. Q – Can you take pics with the cellphone? Q – Hi can the Sims spouse or lover watch her deliver the baby in the hospital? And if you can answer is the secret alien world in the the science trailer restricted to only scientist who work in the science building? A – When your Sim is ready to deliver, there is an option on your Sim to “Deliver baby at hospital”. Once you choose to go to the hospital a Sim picker will appear. You can then choose someone from your household to come with you. Q – How come our sick sims cant go to the hospital to be treated? A – Sick Sims can alleviate their symptoms in other ways, like by drinking tea, orange juice and napping. They can also cure themselves by buying medicine from the computer. Q – One more… when you announce an EP, how far is it in the development phase? Are you still tweaking and adding new things, or is it pretty much just fixing bugs at this point? Q – Are you able to tell the exact amount of new lots coming with the game? A – There will be four new lots in a new an entirely new neighborhood, Magnolia Promenade. Three of these lots offer new retail spaces for your Sims to visit, and the fourth lot is completely customizable for you to open up a retail business, or move your Sim’s household into. Q – Could tell us all a little about how the traits are going to exhibit themselves in the new careers? Thanks! A – Hi MegandtheMoon – great question! 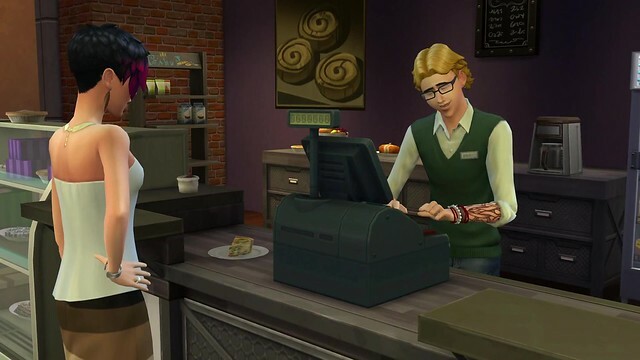 Just like a Sim’s traits will affect their normal day-to-day, they’ll also affect their mood at work. For instance, if my Sim has the Loner trait but she has to talk to her coworkers, she’ll get the “Stranger Danger” buff and get uncomfortable. It makes for some really cute story-telling opportunities. Q – Will babies/pregnant sims at the hospital be able to be seen in the neighborhood? Somewhat to do with the last question, will all sims spawned at the carreer lots be marked as “unplayed” but still be able to be seen in the neighborhood? Will career lots be located on the manage households map just not accessible unless you are in the career/pregnant? Can doctors have ‘at home’ practices or small clinics? Will they be able to treat sick sims out of the hospital? Will our neighbors and played sims (for rotational play) be able to visit the hospital autonomously while we’re playing a doctor? A – You will only be able to see babies in the neighborhood from your own household. Sims at hospital are generated for the work day. They could be existing Sims or new ones. The career lots will be available when you join each career or choose to have baby at hospital. Doctors cannot have at home practices but they have special events at higher level they can attend to. ie house calls. There is a possibility you may see your neighbors at the hospital while you are playing as a doctor. Q – Would it be easy to introduce skylights ? It feels like the drag/drop/expand tool, as it’s used for rooms (especially without walls), would make it simple for you to create a transparent, window-like floor. But I’m no developer so maybe it’s actually different in some way, in which case could you explain why it’s more complicated than it looks ? A – Skylights on a flat surface wouldn’t be terribly difficult (though things are always more involved than they seem (rendering complexities around light/shadow with transparencies, for example)), but skylights which work more like windows on a roof surface get a bit more tricky since they would have to account for curved roofs. The build team has talked about skylights as something we would eventually like to do. No guarantee on when that might happen, but we agree that it would be really cool. Q – In the same spirit, could one imagine that transparent roofs could be added in the future ? (I know, you can’t say what WILL be added, but could it be ?) I was thinking that a roof window (as in : a new object that would be added on the slope of a roof) would be more complicated to create than a transparent type of roof. Plus a transparent roof, with the TS4 roofing system, would offer infinite possibilities for builders. A – One could definitely imagine something like this. We like to say that “nothing is impossible”, so it’s mainly a consideration of how much time a feature will take and how important it is compared to other things we want to put in the game. Of course, some things can take so long that, while not technically impossible, they become very impractical when weighed against all the other features we’re considering. That being said, we love the new roofing system and look forward to making it even better throughout the life of the game. Q – Since it is possible to create 1/4 floor tiles in the shape of a triangle with CTRL-F, do you think it is possible to introduce a 1/4 floor in the shape of a square, with a new hotkey ? It could make up for the lack of choices/colors in some floor types. A – This is one of those things that sounds simple, but is actually more complex than one might think. It has to do with our grid size. If we had a smaller grid, we could more easily allow this, but a smaller grid would increase the complexity of the lots and therefore would require a more powerful computer and bigger file sizes (basically, it would cause a bunch of performance issues). Also, on the user experience side of things, we’d have to figure out a way for the triangular ¼ tiles to work well when they’re next to a square ¼ tile or next to a diagonal wall. For such a simple sounding idea, it would take a surprising amount of work to make sure we could deliver it at a suitable level of quality. It would be pretty cool though, wouldn’t it? Q – Some objects have a great color swatch, why don’t all objects share the same basic color swatch ? Please do consider it. Q – Let’s say I start decorating a house and I buy a chair. Now I like that chair when I browse Build/Buy Mode, but I don’t know what style it is, and I want to keep decorating in the same style… what can I do ? I couldn’t find a way to see the style of any given object. Is there a secret trick ? Time efficient, if possible (it’s a pain in the plum to try each style to see in which one the chair appears ; and it’ll only become more needed with future GPs/EPs. A – It’s always a struggle to fit a bunch of info into the game’s UI without making things too cluttered. This does seem like useful info though, I’ll see what we can do about it. Q – So I build the perfect kitchen, taking advantage of the advanced counter system… but then I move out to a new house and keep my furniture. Why do all counters “reset” to the default shape ? Because of this I have to buy specifically shaped counters again and I lose money. A – Thanks for calling our attention to this issue. It is not the intent that you would have to buy new counters (and therefore lose some money) in order to get the special counter shapes after counters have gone into your inventory. Q – I don’t really understand the difference between these two types of clutter. I LOVE clutter ! But I spend ages looking for the one I need because I don’t understand the logic. 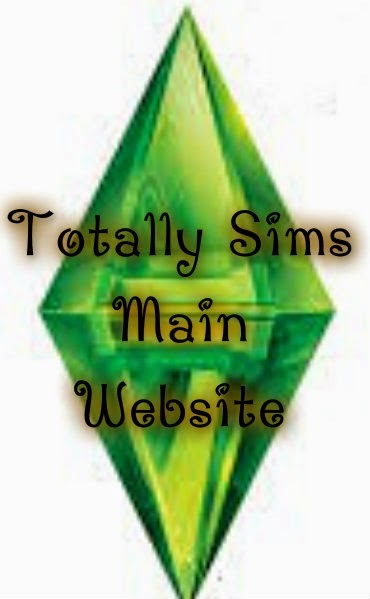 Please help a Simmer make a mess in her Sims’ home. A – With the huge variety of objects we have, it’s pretty difficult to arrange them in a way that makes sense to everyone all the time; it often comes down to a subjective decision by the person who is adding the object to the game. That being said, it looks to me like the “Misc” section is being used a bit too frequently. The intention is that it would mainly be used for stuff that really didn’t fit into any other category, but I agree with you that a lot of the stuff in it looks like it would fit in well as “Clutter”. Q – I believe it was stated by a guru at some point that players would have the option of sending a sim off to work at one of the active careers while not actually following them, so we could basically treat them like regular rabbit hole careers. Is that true, and if so will the sim actually progress and get promoted at the same rate they would if the player followed and actively played them, or do we actually have to be there controlling them in order for them to progress? A – Hi Alysha, that’s a superb question. You’ll actually have the option to send any of your Sims in any career to work alone – aka rabbit hole – when each work day starts. The rate of progression for the new careers works differently from the existing Base Game careers though. If you send your Sim to work alone they’ll gain a small amount of progress, but they won’t advance nearly as quickly as when you go with them to work.